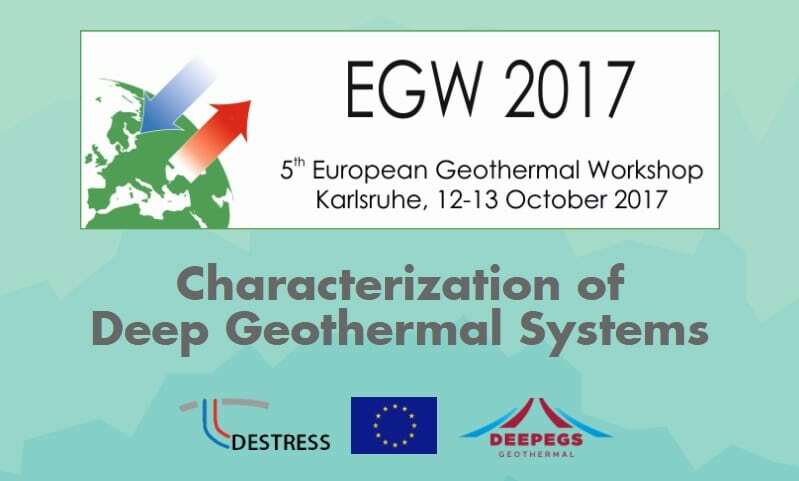 DEEPEGS and DESTRESS consortia invite for the 5th European Geothermal Workshop #EGW2017 as a Joint HORIZON 2020 event on 11-14 October 2017. This workshop aims at discussing new approaches, methods or data in the fields of deep geothermal reservoir exploration, characterization and exploitation, with a strong focus on ongoing research. It proposes a platform of scientific exchange, especially between PhD students and scientists. We encourage PhD students and young scientists involved in geothermal reservoir development to present their recent research and ideas.